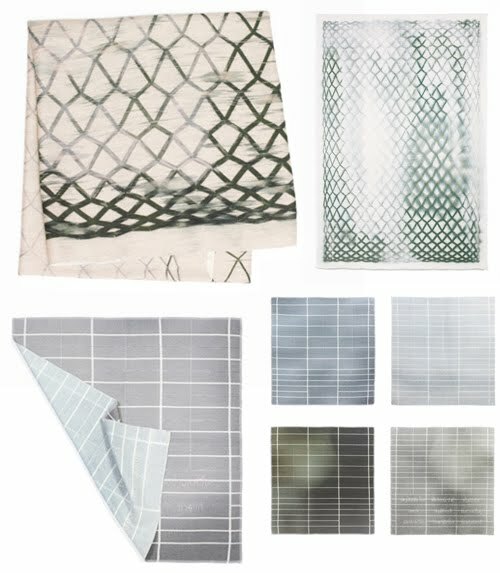 Textiles from Maarten Kolk and Guus Kusters, created from photographs of water in Iceland (glaciers, geothermal spas, geysers, rivers, waterfalls, and more). What an awesome idea. Love the colors.